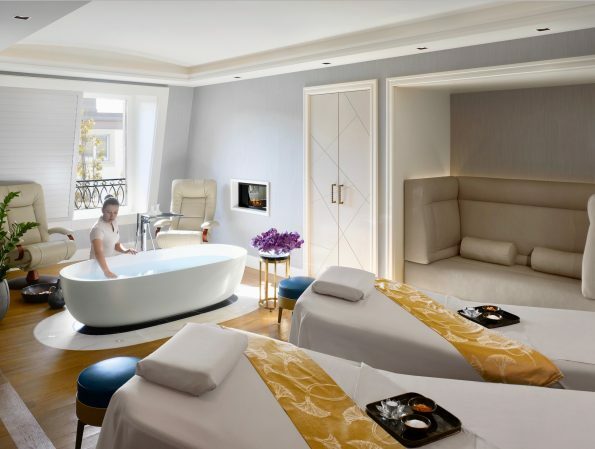 The Four Seasons Hotel Des Bergues, located in Geneva is a five-stars hotel and one of the most glamorous that we can enjoy in this city. It is next to the Rue du Rône, the city’s most upscale shopping street. 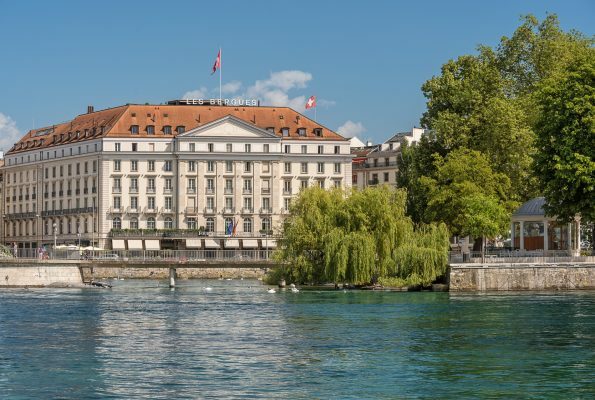 It offers the privilegy to have the enchanting views of the lake Geneva and the Alpes in the distance, and also the old part of the beautiful city. 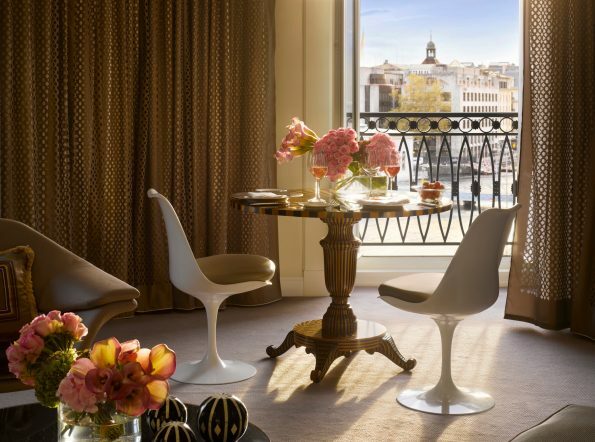 It was designed by the famous interior architect Pierre-Yves Rochon and occupies a historic building since 1834. 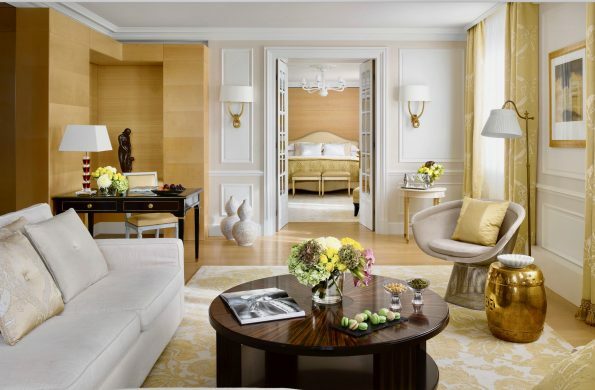 The rooms have an exclusive luxurious style, with high ceilings and a classic French furniture that give them a majestic air typical of the ancient kings. 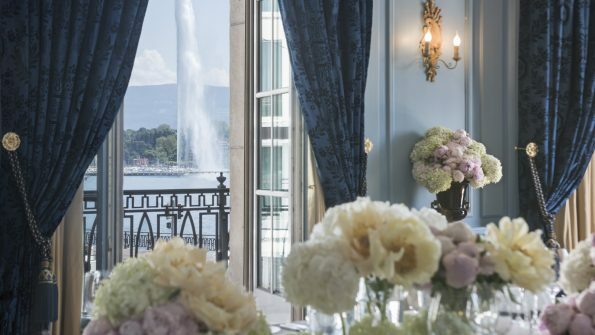 We can see the city and the lake of the garden through the windows of the lavish suites that are bright, full of exquisite details as the magnificent flowers and amenities. 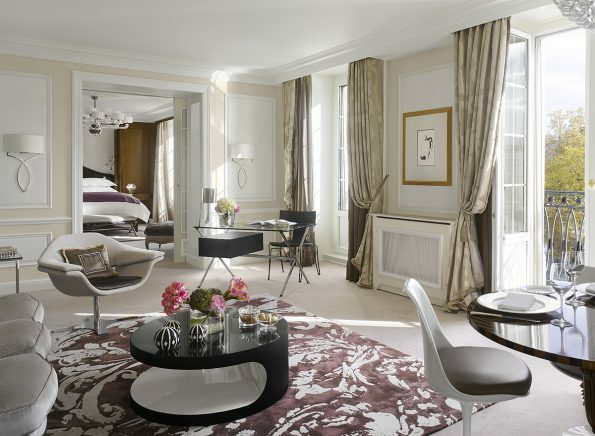 Other suites are equally elegant, but incorporate more modern furnishings. One of the most appreciate services is the Guest Personal Concierge that you can find in each floor of the Hotel. Delicious breakfast, cakes, chocolate and sweets for the most exigent customers. 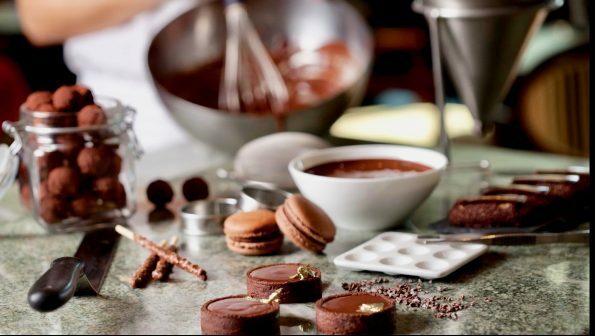 The Hotel offers a great proposal for the cuisine with different Restaurants. Il Lago with the finest Italian cuisine and an exceptional wine cellar that offers Italian, French and Swiss wines. 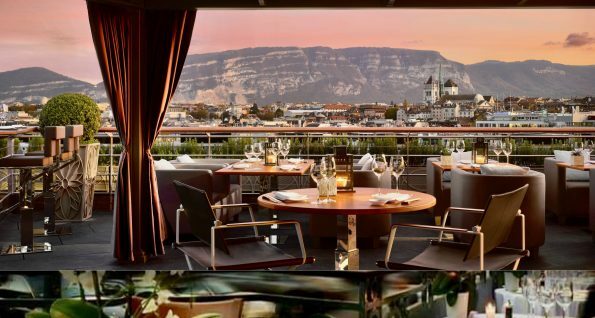 Izumi offers innovative plates of sashimi or tiradito on the most expansive rooftop in with a 360-degree view over the city and the Lake Geneva. The Bar des Bergues has drinks and an elegant atmosphere and furthermore serves a buffet breakfas with delicious hot dishes. 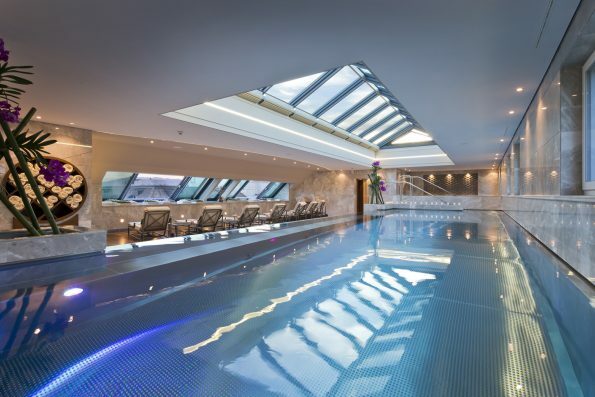 But if we really want to enjoy a good service, we must experiment the spectacular spa with all its treatments that can make us achieve true rest; and also a beautiful swimming pool.